In recognition for contributions to the field of analog and mixed-signal integrated circuit design and for industrial entrepreneurship and leadership. Early in his career, Sehat Sutardja was viewed as one of the most talented integrated circuit designers in Silicon Valley. He focused on analog and mixed-signal circuit design. In 1995, he cofounded Marvell, a semiconductor company that focuses on the design of high-performance integrated circuits. Marvell has grown to one of the top five fabless semiconductor companies in the world and now has over 5,000 employees. 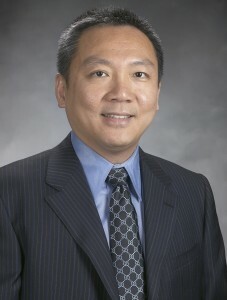 Sutardja has served as president and CEO of Marvell since the company was founded. He holds more than 150 U.S. patents. In recognition for contributions to the field of analog integrated circuit design and for leadership in the semiconductor industry. 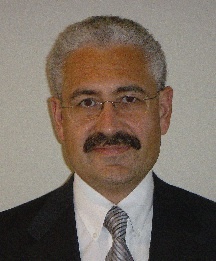 Tunc Doluca joined Maxim Integrated Products as a design engineer in 1984, two years after the company was formed. Early in his career, he was noted for his success at identifying product opportunities with strong demand in the marketplace and his ability to build successful business units that capitalized on these opportunities. Through a technical leadership position at Maxim, Doluca rose to the position of president and CEO of the company, positions he has held since 2007. In recognition for contributions to the development of fundamental computer concepts and for dissemination of these concepts through seminal textbooks in computer arithmetic, computer design, and digital systems. After earning a PhD in physics from MIT in 1949, Richard “R. K.” Richards joined IBM, where he worked on the design of vacuum-tube-based business computers. In conjunction with this work, Richards secured 28 U.S. patents covering fundamental circuits and concepts of computer design. Between 1955 and 1971, he wrote five textbooks on the design of computers and digital systems. His book on computer arithmetic went through at least 10 printings and remains a valuable reference. Richards wrote in one of his books that the ancestry of all electronic digital systems (that is, computers) appears to be traceable to the Atanasoff-Berry Computer. That account was key evidence in the extended court case between Sperry-Rand and Honeywell that resulted in crediting the invention of the first electronic digital computer to Iowa State University and the work of John Vincent Atanasoff and Clifford Berry. In recognition for scholarly contributions in the areas of navigation, control systems, Kalman filtering, global positioning systems, and education. 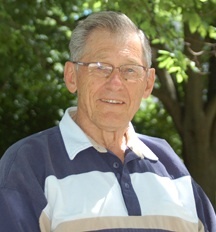 R. Grover Brown earned three degrees in electrical engineering from Iowa State University and spent more than 40 years on the ISU campus as a student and a faculty member. He was highly regarded for his scholarly work in control systems, random processes, detection and estimation theory, Kalman filtering, and global positioning systems. He was a prolific author of journal papers and textbooks. His 1962 book was among the first to include random signals in control theory, his Lines, Waves, and Antennas was in print for two decades, and his book on random processes and Kalman filtering remains a standard reference. He progressed through the academic ranks until becoming a Distinguished Professor, a title he held for many years. In recognition for leadership in the development and evolution of the power industry. 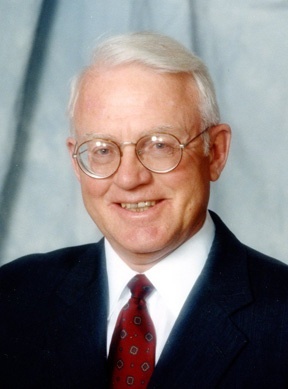 Arend “Sandy” Sandbulte spent 31 years at Minnesota Power, a major utility company in the Midwest. He rose through the leadership ranks at Minnesota Power and served as President and CEO from 1989 until his retirement in 1996. Sandbulte was well-known throughout the electric power industry as an innovative leader who cared deeply for his employees, famous for the fact that he knew and remembered the name of every one of them. Sandbulte has maintained strong contacts with Iowa State University and has provided strong and continued support for the university and the department. In recognition for contributions as a teacher and as an author of textbooks that have been adopted around the world by engineering educators for over three decades. Jim Nilsson was recognized as an outstanding teacher and has received numerous accolades for his classroom performance. Returning alumni often refer to their classes with Nilsson as the most memorable and stimulating part of their educational program at Iowa State. Jim wrote several textbooks throughout his career but the several editions of his Electric Circuits book have been widely adopted around the world for more than three decades. This book has impacted the engineering education of tens of thousands of electrical engineers worldwide. In recognition for administrative leadership in the utility industry and his contributions to engineering extension education. Glenn Hillesland spent 39 years as an employee of Commonwealth Edison, retiring in 1985. After retirement he pursued a second career with Iowa State University as coordinator of extension services that served the electric power industry. He retired a second time in 2004. One of the highlights of Hillesland’s career at Commonwealth Edison was oversight of the design and implementation of the power distribution system supplying the Sears Tower in Chicago, the tallest building in the world at the time. Many on-campus electrical and computer engineering students remember Hillesland fondly for his role as a senior design advisor, where practical issues that are so critical in industry became a routine part of the design projects he guided. In recognition for her contributions to semiconductor processing in the biomedical electronics field. Tracy (Kness) Summers is senior engineering manager at the Medtronic Microelectronics Center in Phoenix, Arizona. She is responsible for the design environment used throughout Medtronic for integrated circuit design, includeing design rules, process manuals, Spice models, digital cell libraries, ESD protection libraries, and testing. She also manages the memory design team, both flash and RAM/ROM, and a project to develop the next generation of sensors for diabetes monitoring. The devices and integrated circuits that come out of the Microelectronics Center are central to the product line of Medtronic and improve the quality of life for millions of people around the world. In recognition for his contribution in the development of semiconductor processes that support non-volatile memory products. 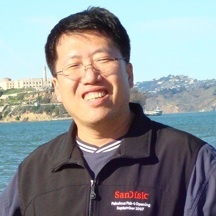 Er-Xuan Ping is currently a research Director at SanDisk Corporation, which specializes in NAND memory technology and future solid-state memory technology. His main responsibility is currently for the development of non-volatile memory technology, particularly high density and high-speed 3-D memory product that have applications in solid-state drive and mobile handsets. Ping has been issued 124 U.S. and international patents and more than 30 publications in various journals and conferences. In recognition of extraordinary service to the department and to alumni of the department through continued voluntary efforts to identify faculty, staff, and alums that have distinguished themselves in their career. Tom Scott is an emeritus member of the electrical and computer engineering faculty who established strong ties as a faculty member with a large number of students over a career that spanned four decades. Invariably, returning alumni identify Professor Scott as one of the best teachers they had while students at Iowa State University. Scott has kept ties with many of these students throughout the years and has watched them grow into positions of leadership in the profession. It is partially through these ties that Scott has been effective at identifying alumni who are particularly worthy of recognition by the department or the university.